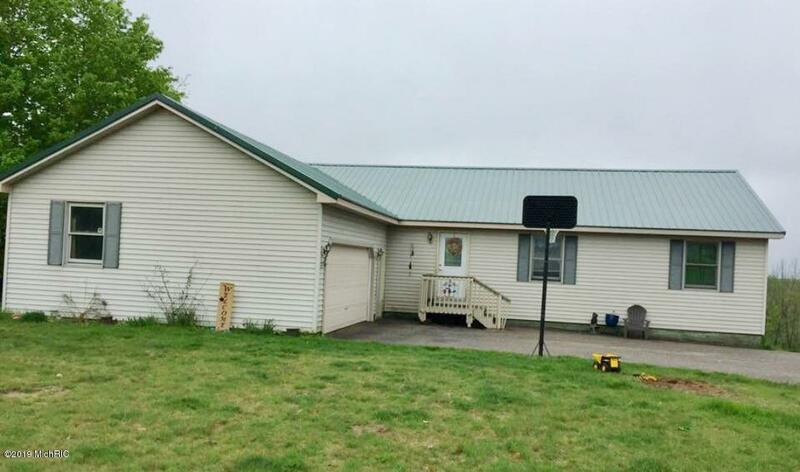 This nearly 2800 square foot ranch home offers 5 bedrooms and 3 baths, walkout basement, cathedral ceilings, paved driveway, attached 24x24 garage and a large back deck for entertaining family and friends or just enjoying the beautiful views. There have been many updates over the past few years to include a metal roof in 2014, a new furnace in 2011, new drain field and new water softener in 2017. Buyer to verify acreage and lot dimensions.